Constructed from powder coated steel frame and waterproof 600d polyester with anti-slip floorboard. 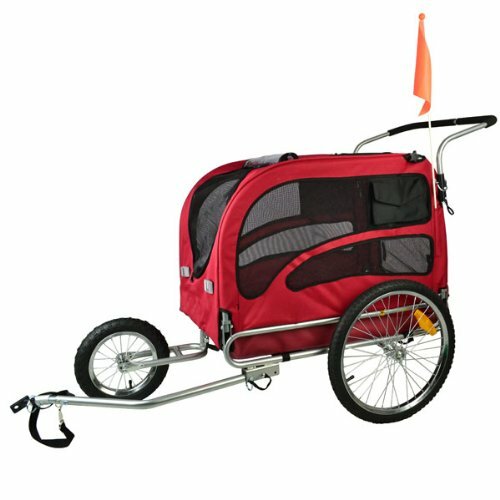 Easy conversiton between trailer and jogger; Universal bike hitch to rear axle included.Fits most bicycles. If you have any questions about this product by Veelar, contact us by completing and submitting the form below. If you are looking for a specif part number, please include it with your message.